Review: Grandaddy, 'Last Place' It's rare for a band to make a comeback album like Last Place that stands up alongside its best work. Jason Lytle was burnt out. In the years following the release of Grandaddy's beloved The Sophtware Slump at the turn of the century, the Modesto, Calif., indie-rock band had hit a wall of diminishing returns and inter-band frustrations. And Lytle, Grandaddy's primary songwriter and mastermind, had become increasingly reclusive, preferring to hole up among his gear and work alone. So while it was not meant to be a farewell, 2006's Just Like The Fambly Cat signaled what the band had likely known for a while. After the band's dissolution, Lytle uprooted to rural Montana, a domestic escape back to nature that had long been a source of calming balance. The move was also a creative recharge. Lytle eventually released two solo albums, and another as Admiral Radley (a collaboration with members of the band Earlimart). But tonally, he never strayed too far from his core formula: chunky distorted guitars, an army of sparkly synthesizers, and Lytle's distinctive wistful and wincing voice. Now, nearly 10 years after Grandaddy's previous release, Lytle has actually relocated back to his old California stomping grounds, and revived the band — including Aaron Burtch, Tim Dryden, Jim Fairchild and Kevin Garcia — to perhaps rewrite the band's ending. 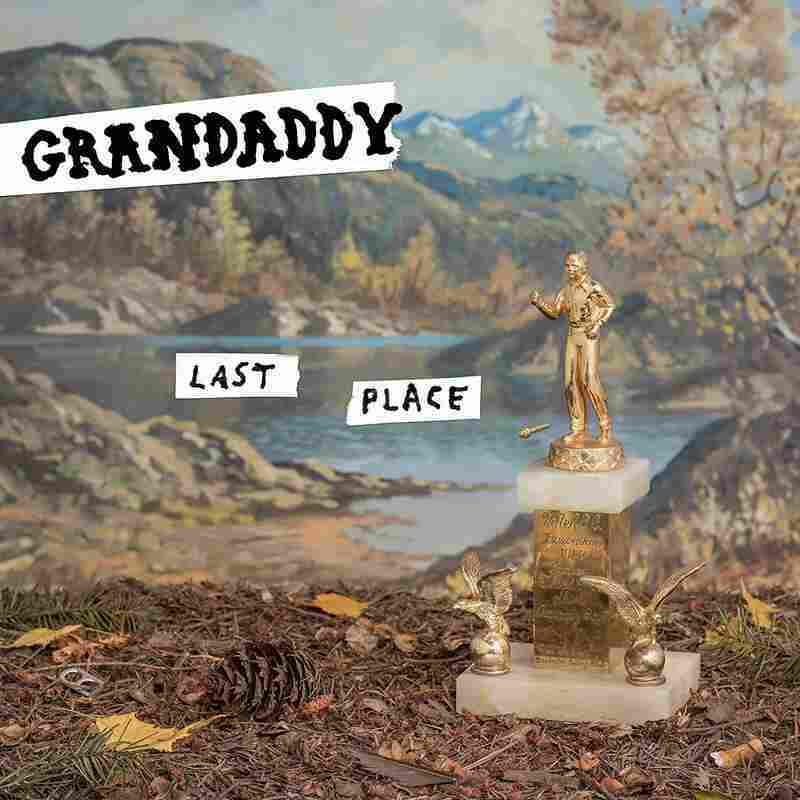 It won't come as a shock that Grandaddy's new album, Last Place, feels exactly like, well, old Grandaddy, in the best possible way. "The Way We Won't," Last Place's first single and opener, is a perfect reintroduction. The song showcases all the elements we've come to expect and love in this music: There's chugging guitar chords, chopped up vocals, glitzy cascading synthesizer arpeggios — and one of Lytle's most infectiously singable melodies. Yet, as with any Grandaddy song, all those fizzy hooks cloak a weightier center. Depicting a couple deciding to live atop a suburban big box store, the lyrics offer a sly critique of banal everyday consumerism: "Tropical smells and back to school sales, why would we ever move?" Lytle sarcastically shrugs. Elsewhere, Lytle and company further unspool a gorgeous grunge-pop tapestry of moods and textures — from the swirling Mellotron and strings in "This Is The Part" to the buzzy, burbling synths in "Evermore" and "Brush With The Wild" to the delicate acoustic accompaniment in "Songbird Son." It adds up to a sound that draws inspiration from his spacious surroundings to conjure grand musical landscapes brimming with dynamic melodies and sonic nuance. Lytle returns to some familiar lyrical places, too. His songs mix an observational eye with a yearning romanticism, no matter if he's examining his anxieties and inner demons or addressing larger than life issues. But now, with the onset of age and time, his songs reflect consequences, and his experiences have hardened into battle scars that inform his words. Throughout Last Place, Lytle alludes to his crumbling marriage ("The Boat Is In The Barn"), summons the strength to overcome isolation depression in its lonely aftermath ("That's What You Get For Gettin' Outta Bed"), and returns home to marvel at how it's eerily familiar yet also out of place ("I Don't Wanna Live Here Anymore"). Later, with "Jed The 4th," Lytle name-drops "Jed the Humanoid," a recurring stand-in character deployed in several older songs to confront his sadness with an icy remove. Here, Lytle admits, "You know it's all a metaphor for being drunk and on the floor / So give it up for Jed the 4th." The record crests on "A Lost Machine," a slow-building epic ballad — in the mold of his classic "He's Simple, He's Dumb, He's The Pilot" from The Sophtware Slump — wherein Lytle returns to another frequent motif: how technology intrudes on the natural world at the expense of personal privacy and our emotional connections to each other. Building from sparse piano and Mellotron to a sweeping peak full of glitchy, bit-crunched outbursts, "A Lost Machine" personifies the intersection of the organic with the futuristic, as Lytle repeatedly chants "Everything about us is a lost machine / Everything about we is a forgotten dream." It's an especially resonant unsettling mantra for these times. While revivals arrive frequently, it's more rare for a band to make a comeback album like Last Place that stands up alongside its best work. Now that Grandaddy is back, it's as good a time as any to rediscover what made this band's music so special in the first place.